Over the past few years medical sensors have become smaller. The MEMS (or Microelectrical-mechanical systems) have been popular in medical equipment, from stents to chemosensor. Even the capsule endoscopy systems comes with a miniature camera as well as radio technologies. These systems captures the images of human digestive tract from the inside. Latest discoveries in the data analytics, material science and equipment engineering collectively promise a much smaller and modish sensor. The recent development in miniaturization assures biocompatibility. Medical experts believe that the smaller the system, the less likely it would interfere with the immune mechanism. This is true for capsule endoscopy used to take images of the entire gastrointestinal tract. PillCam® SB launched by Covidien boasts of vitamin –sized, wireless pill design that can improve the diagnosis for small bowel diseases. Recently, a Vanderbilt University engineer, Pietro Valdastri received $1.5 million as grant to continue the development of his a unique magnetic capsule for patients with IBD. Besides this, miniaturization when combined with the latest electrochemical as well as optical techniques boosts specificity & sensitivity for several medical conditions or uses. For example, scientists indicate that when size of the capsule endoscopy system is reduced it allows medical professional pick up the elements on the device. The Qatar International Medical Congress held between May 26 – 28, 2015 also included video capsule endoscopy as well as many sensitive, yet important, next generation concepts on palliative care. Apart from this, boom in data analytics have also observed some of the greatest advancements in the medical sensors industry. Medical experts now combine the sensor data with improved analytics as well as machine learning techniques to diagnose diseases accurately. Allied Market Research has published a report titled “World Capsule Endoscopy System - Market Opportunities and Forecast, 2014 – 2020.” As per the report the capsule endoscopy system would register a CAGR of 14.8 percent during the forecast period of 2014 to 2020 worldwide. 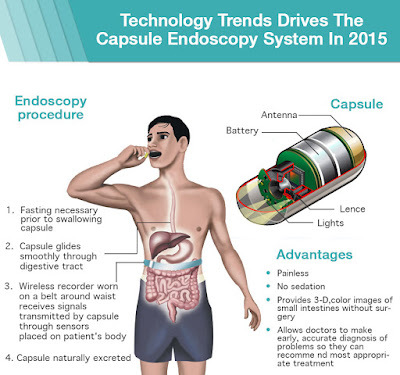 The aforementioned report also uncovers there would a significant development of the capsule endoscopy system in regions such as North America, LAMEA, Asia Pacific and Europe. AMR’s new study observed that the market for food traceability will reach a mark of $14.1 billion by 2020 growing at a CAGR of 8.7%. Due to real time locating of food irrespective of place of weather conditions, RFID is calculated to grow at rate of 19.4%. Further, its read-write accuracy in complex environment gives it an upper edge over the other technologies. Food traceability is becoming a norm for all food producers across the globe due to rising consumer demand for food safety coupled with increased government regulation for the same. There has been good market revenue for it in Australia, U.S and Japan due to early adoption of food traceability technology. But due to increased globalization of food market, there lies greater opportunity for food traceability market in developing countries. 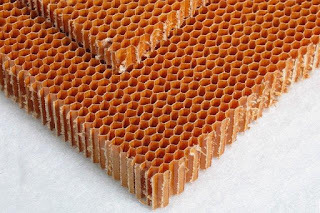 Incorporating newer elements in presently used honeycomb sandwich material to add structural strength yields fresh possibilities.